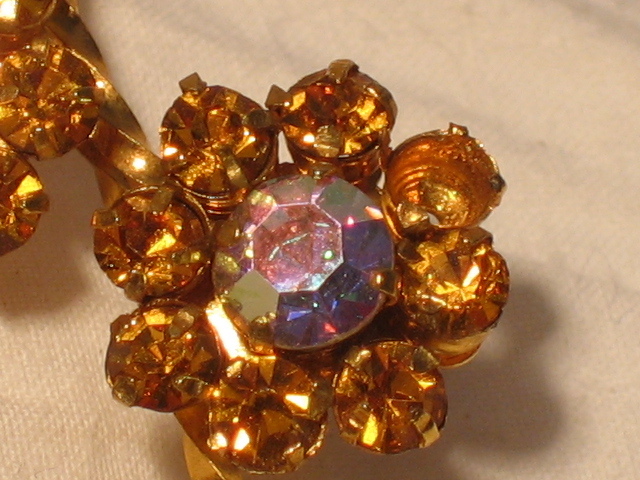 Vintage1950s gold and rhinestone flower brooch. 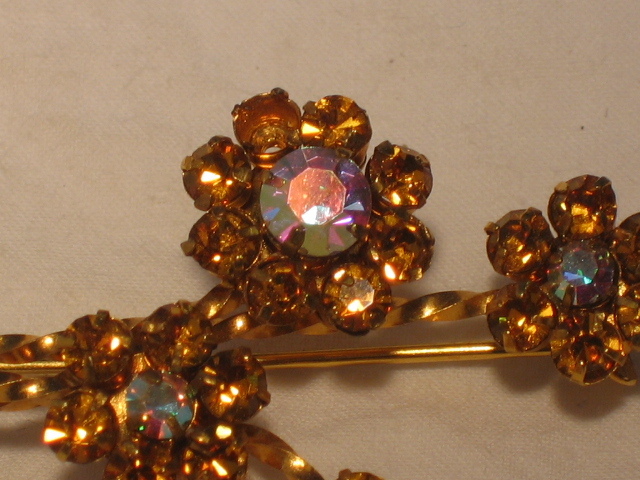 If you love shiny things, take a look at this pretty little brooch. 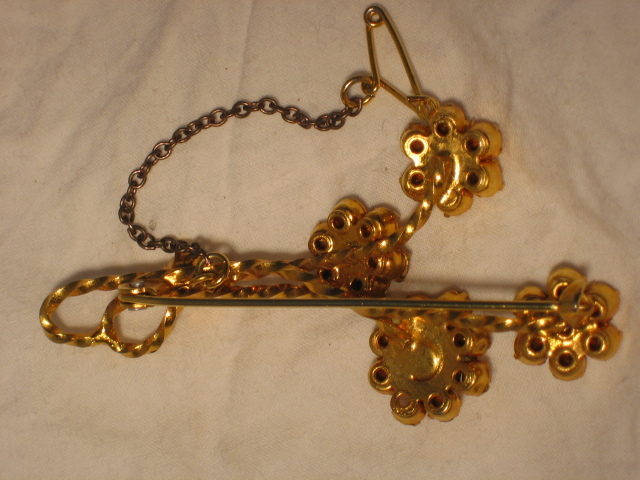 Dating from the 1950s, it is in the form of a spray of four golden flowers with rhinestone centres. 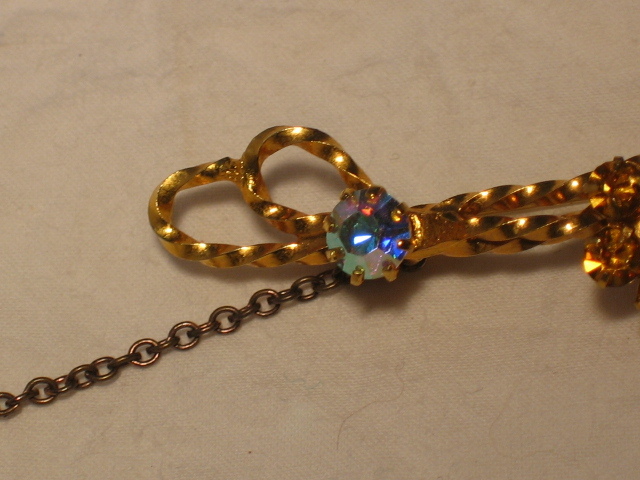 The three stems are gold twisted metal, brought together with another rhinestone. 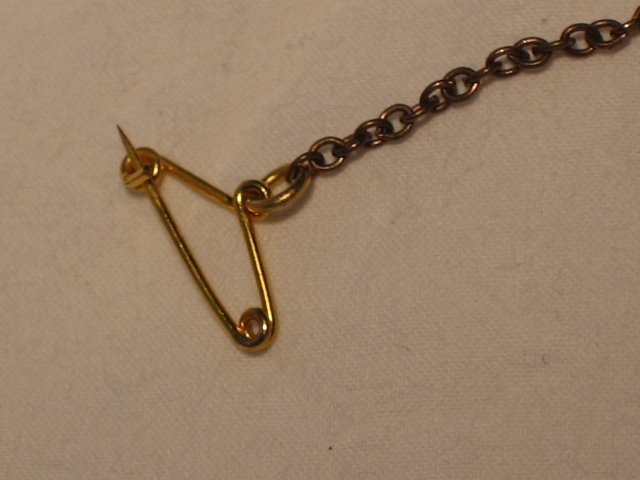 It fstens with a single pin, but there is also a little chain and pin keeper, to protect it should the pin fail. Sadly, one of the yellow brilliants is now missing, as I have tried to show in this picture; but the fact is, with so much glitter, it really is hard to see. 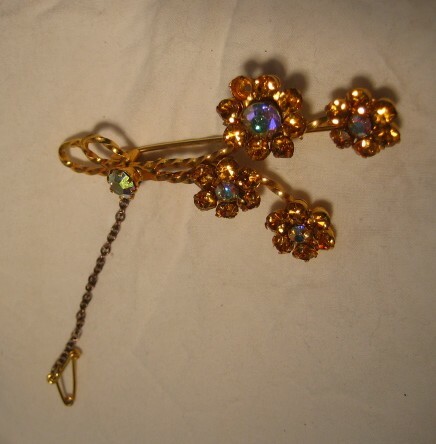 Otherwise, this brooch is in very good vintage condition.